Tips, techniques, and true stories to support you in using the law of attraction and alchemy to create magic and live the life of your dreams. 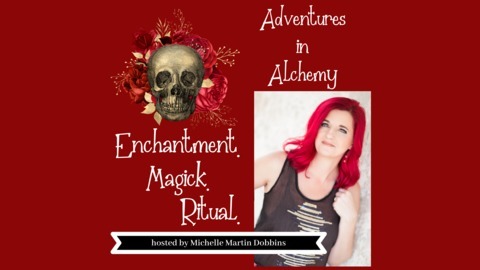 Hosted by the founder of www.dailyalchemy.com, Michelle Martin Dobbins. 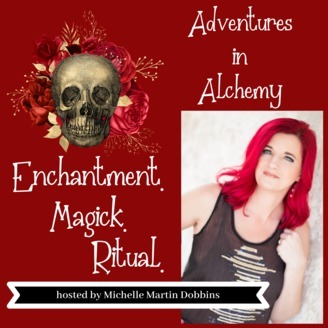 I'll share my successes and failures and give you practical techniques to incorporate alchemy into your life in a fun way that works. Joanna is an amazingly talented medium and spiritual entrepreneur. She has a gift to tune in and know what people need in their lives and businesses. She explains how to turn on your gifts, one technique that always raises your vibration and all about 333 Magic and the Lightweb. Joanna Hunter Lives in the Magical Highlands of Scotland with Her Husband and 3 Children( a boy and 2 girls), a black cat called Midnite & Daisy the Jack Russell fur baby. A Natural and trained medium she has always been spiritually open had an awareness of the spirit world. At 23 years of age she opened her first business; a designer clothing shop called Branded, a love affair with entrepreneurship was born, that has now spanned nearly 2 decades. In 2008 when she survived a major burnout that landed her in hospital with multiple organ failure. What followed became a gentler way of life, that nurtured her soul allowed her to heal from the inside out. In 2011 she pursued the true calling of her soul, working with spiritual entrepreneurs and spiritually open individuals- to help them create a life that sings to their souls. This connected the dots of her life-Spirit, Business, Woo Woo and Mindset!